The Fifth Annual Hotel & Lodging Legal Summit was a great success. The conference drew 272 attendees (mostly attorneys) from throughout the United States and from at least five other countries. Attendees represented over 50 companies in the hospitality industry and over 50 law firms, and included at least 10 industry general counsels and 2 industry CEOs. It is my privilege to co-chair this annual event, which has made a positive contribution to the practices of its participants and to the hotel and lodging industry. 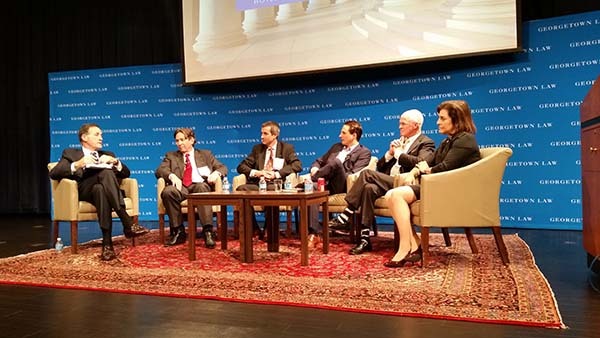 Pictured here are participants in this year’s General Counsels’ Panel.